GNC Holdings Inc. said Monday that it has reached a deal with New York Attorney General Eric Schneiderman over its Herbal Plus supplement products. This agreement is the first in the nation to require testing standards for herbal supplements that exceed current Food and Drug Administration requirements. "When consumers take an herbal supplement, they should be able to do so with full knowledge of what is in that product and confidence that every precaution was taken to ensure its authenticity and purity," Schneiderman said in a statement provided to CBS News. The agreement comes nearly two months after Schneiderman's office sent letters to GNC, Target, Walmart and Walgreens for allegedly selling store brand herbal supplement products that either could not be verified to contain the labeled substance or were found to contain ingredients not listed on the labels. Testing overseen by Schneiderman's office indicated that supplements including echinacea, ginseng, St. John's wort, garlic, ginkgo biloba and saw palmetto, were contaminated with substances including rice, beans, pine, citrus, asparagus, primrose, wheat, houseplant and wild carrot. In some cases, there was no trace of the primary ingredient listed on the label, and unlisted contaminants were the only plant material found in the product samples. GNC said that in responding to the attorney general, it provided results of internal tests and those conducted by independent third parties. The Pittsburgh-based company said the tests gave "conclusive evidence" that its products are safe, pure, properly labeled and in full compliance with FDA requirements. Under the agreement announced Monday, GNC will perform DNA barcode testing on all "active" plant ingredients listed on labels, and will test for contamination with allergen before and after production. GNC will make these tests standard procedure before putting their products on shelves of their more than 6,000 stores nationwide. The company will also submit semiannual safety reports to the New York Attorney General's office. Language used on store signs across the country and on the GNC website must now indicate whether a supplement product is derived from whole herbs or extracts, and the company must explain the difference between those two processes. In particular, these signs will highlight that extracts are chemicals derived from plants after applying solvents, like liquid carbon dioxide. The company said the agreement affirms the products were in full compliance with the FDA's "Current Good Manufacturing Practices." The agreement also recognizes GNC's full cooperation with the attorney general's inquiries. "Our customers trust and value our products, and we are steadfastly committed to maintaining that trust and confidence,' CEO Michael G. Archbold said in a statement. "We have always gone above and beyond the minimum requirements in pursuing quality for our consumers, and we will continue to lead the efforts for higher standards. 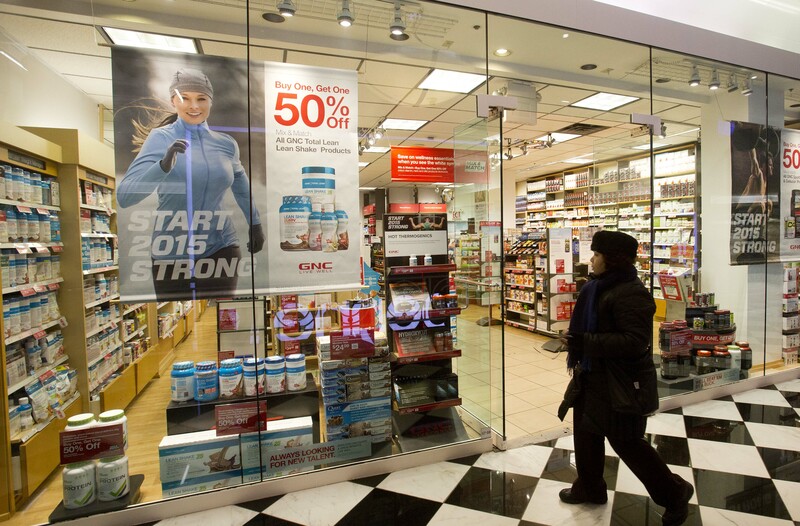 This is good for consumers, good for the industry, and good for GNC." GNC also said it will defend itself "aggressively" against lawsuits filed against it following the New York Attorney General's announcement in February. The company said that it believes the lawsuits are "completely without merit."